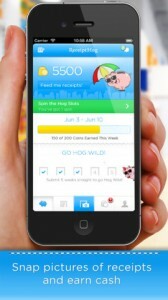 Receipt Hog is an iPhone app developed by InfoScout. 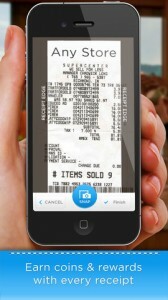 This app allows you to earn cash by taking pictures with of your grocery store receipts. If you can take a picture, you can earn cash back! 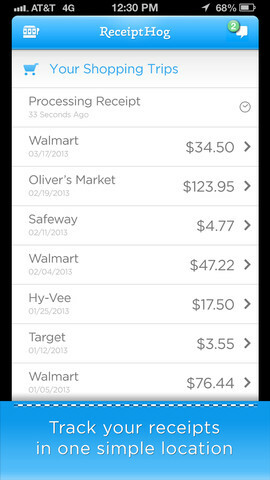 Receipt Hog is one of several apps currently on the iPhone that allow people to get cash back when they go shopping and save their receipts. Receipt Hog is similar to apps like Ibotta, but with a few crucial differences. Receipt Hog can be used at supermarkets, as well as dollar stores, pet stores, drugstores, and convenience stores. Rather than getting cash back via Paypal within 24 hours like with Ibotta, Receipt Hog is based around a coins system. You will get 5 coins for receipts under $10, 10 coins for receipts for $10-$50, 15 for purchases between $50 and $100, and 20 coins for receipts over $100. 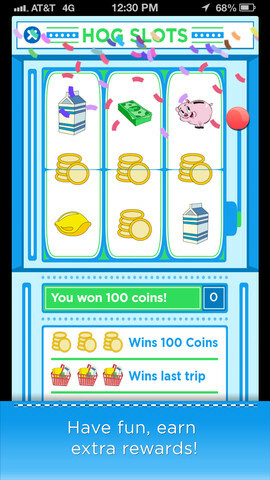 These coins can then be exchanged for cash, gift cards, or other rewards. There is also a slot machine aspect, which adds some fun. 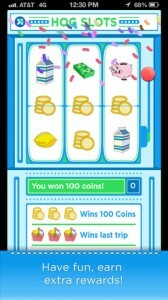 One example of what you can buy: 1000 coins gets you an Amazon gift card in the amount of $5. Overall, the interface is very attractive. There is an enormous sense of fun, and the colorful design of this app makes it enjoyable to use. For people who hate to lose money, Receipt Hog is a great way to earn cash back on stuff you had to buy anyway. If you like money, there’s really no reason you wouldn’t like using Receipt Hog. Give it a spin! Receipt Hogis compatible with iPhone 3GS, iPhone 4, iPhone 4S, iPhone 5, iPod touch (3rd generation), iPod touch (4th generation), iPod touch (5th generation) and iPad. Requires iOS 5.0 or later. This app is optimized for iPhone 5.